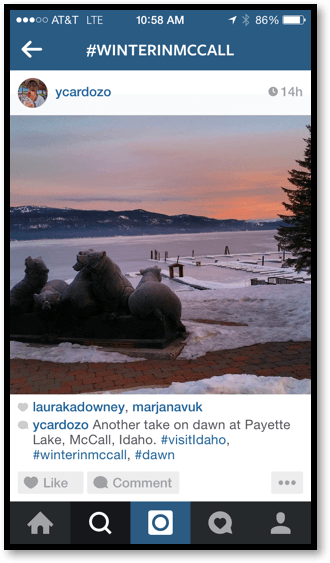 McCall, Idaho is a growing tourist attraction for travelers within Idaho and outside of the state. 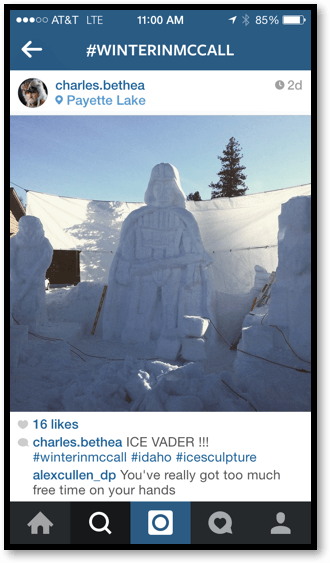 The McCall Chamber is working to help local businesses take advantage of the city’s growing popularity by spreading the word about beautiful McCall, no matter what season it is. 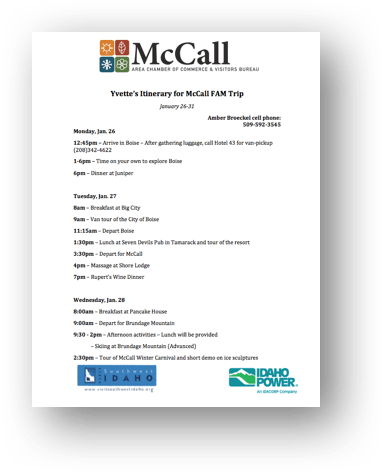 To help generate awareness of the city of McCall, Red Sky proposed a media familiarization tour (FAM) to bring national travel writers to visit McCall. 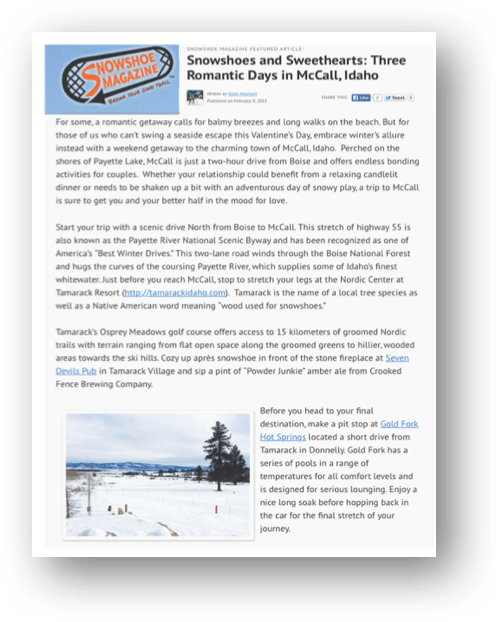 McCall celebrated the 50 th year of the McCall Winter Carnival in winter of 2015, creating an opportunity to capture the attention of travel writers throughout the US. 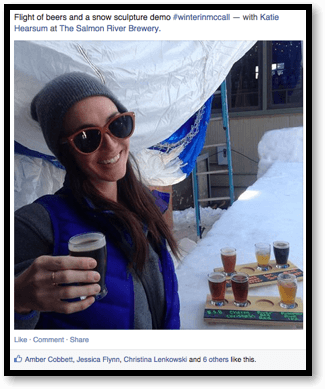 Red Sky created the agenda for the FAM tour and coordinated with local businesses to bring the writers the best of winter in McCall. 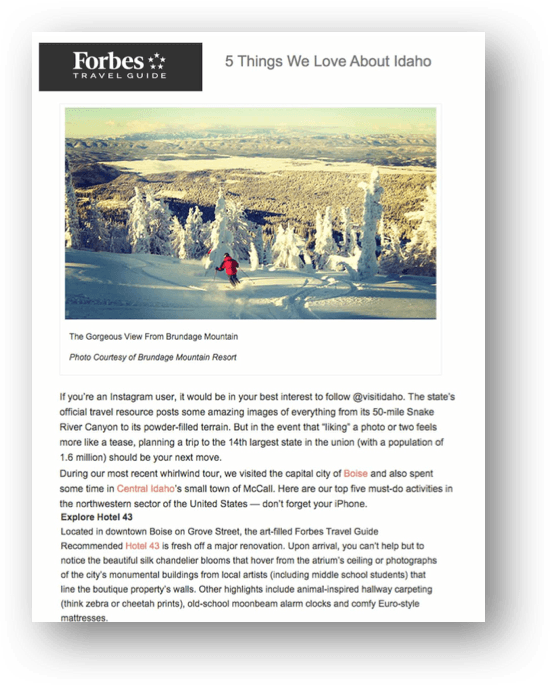 Red Sky thoroughly researched national freelancers, staff travel editors, outdoor sport writers and dining editors to create a list of contacts for outreach. 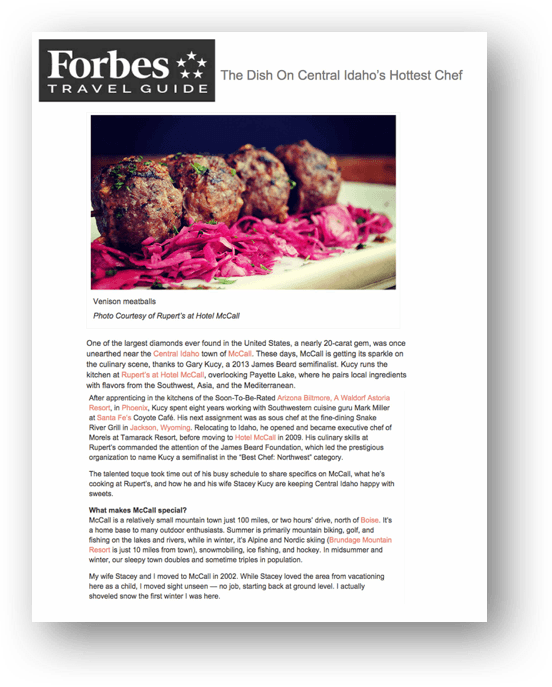 By building a robust and diverse media list of over 100 targeted contacts, Red Sky’s desired end goal was to bring a small group of vetted diverse and impactful editors to experience the best of Boise and McCall. In the end, Red Sky secured five high-caliber editors and bloggers to travel to Boise from around the United States. Red Sky met in advance of the tour with specifically chosen local McCall businesses to create partnerships and facilitate sponsorships. Each of the restaurants, activities and resorts were willing and ready to work with us to promote their town and businesses. Red Sky coordinated the use of grant money to pay for the activities that were offered to the attendees on the FAM Tour. Since there was limited funding available, Red Sky also facilitated partnerships with local businesses to cover costs. The rules and regulations of the grant money was a part of the planning process that took a lot of careful monitoring and attention. Red Sky, BCVB and the McCall Chamber strategically chose businesses and activities in McCall and Boise that would create the best experience possible for the travel editors. 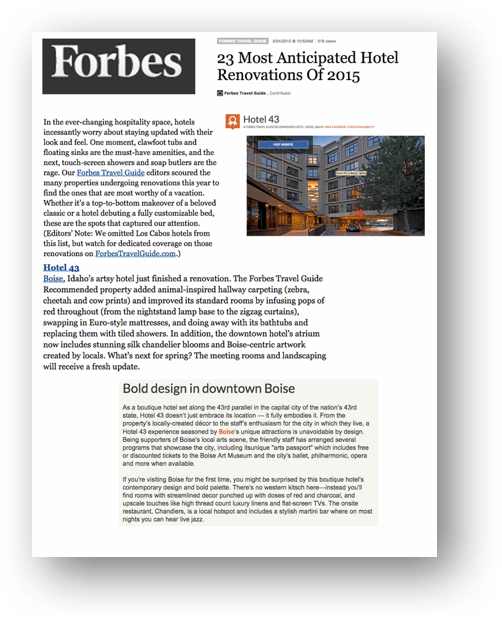 The itinerary included dinner and a tour of Boise during their one night stay in the capital city of Idaho. 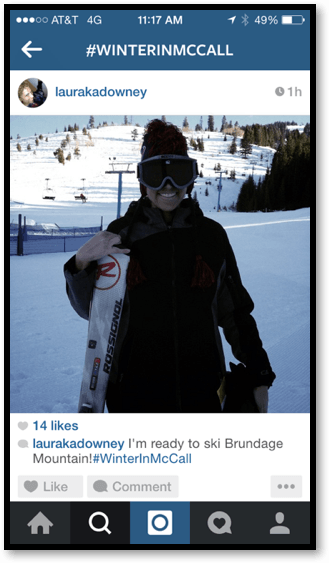 Once in McCall, the writers had the opportunity to ski, snowshoe and eat some of the finest culinary options available in McCall. Red Sky gathered informational brochures from the businesses involved in the McCall FAM Tour to include in a welcome bag for each of the editors. 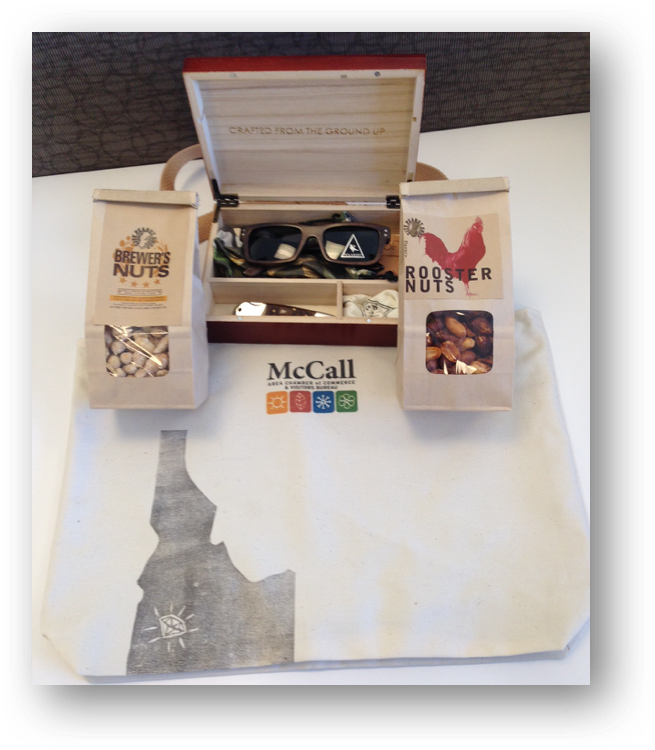 This welcome bag also included gifts from local businesses such as Proof Eyewear, the City Peanut Shop, the Idaho Wine Commission and Lazy Mondays. 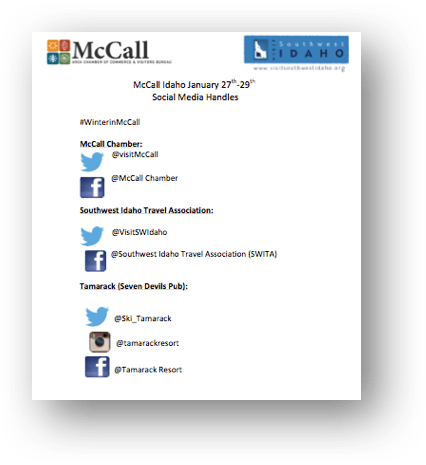 The gift included a personalized itinerary, fun facts about McCall, multiple recent press releases from McCall business as well as a social media document with the handles of all the businesses that participated.